In your day-to-day life, you probably haven’t given your hard drive a second thought. It’s the thing inside your computer or your USB connected external storage device that stores all your documents and photos and music. As long as it works, it just fades into the background of your life. You don’t stop to notice it until it breaks down. Now you turn to the professionals. While you might have the urge to search for a DIY solution, this kind of data recovery, like open heart surgery and neurosurgery, is best left to experts with years of experience. On the inside, hard disk drives are extremely delicate. Only well-trained specialists in a clean room data recovery environment have the tools and expertise necessary to successfully repair them. 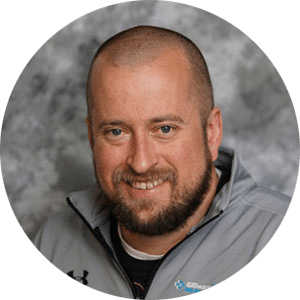 You’ll find these specialists and more at Gillware. If you notice your hard drive clicking, beeping, or smoking, these are key signs that your drive has failed severely enough to require professional help. Make sure you power down the drive immediately so as not to cause further damage to your data. When Do You Need a Professional Hard Drive Recovery Specialist? There are certain situations when you absolutely should not attempt data recovery on your own, even if you are using hard drive recovery software. These are situations where your hard drive is physically damaged and needs an expert to repair it. Your smartphone has an operating system, like Android or iOS. Your computer or server has an operating system, like Windows or Linux. And your hard drive has an operating system of its own as well. This “operating system” is the firmware. Hard drive firmware contains all the logic for controlling and supplying access to the data. It also contains a lot of unique information that is critical to your specific drive’s behavior. 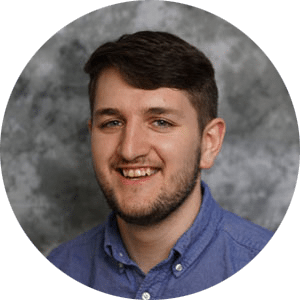 It is not uncommon for all of the physical and electrical components of a failed hard drive to be perfectly healthy, only for a firmware corruption to turn the drive into a proverbial brick. One of the most common causes of firmware corruption is that the hard drive’s read/write heads, though still functional, have started to break down. The firmware area is much lower density than the user area so writing data to them is indeed easier, but not so much easier that it is guaranteed. If a failing read/write head writes gibberish to the firmware zone, it can prevent the hard drive from booting altogether. While the defect lists and SMART tables are the most common culprits, bugs in HDD O/S developer’s code or random corruptions can occur just about anywhere in the firmware zone. Hard disk firmware occupies the outer edges of the hard disk platters. It is the first thing on the disk your hard drive will try to read, so if it fails, everything else breaks down. The first step is to gain access to the firmware. This is harder than it sounds. Hard drive manufacturers don’t publish their internal specification for how to access the firmware. They are constantly changing and working to secure their operating system from the public. Some manufacturers work very hard to limit access, especially when a drive is marketed as secure, because hard drive firmware can sometimes contain things like BIOS passwords. It can be difficult to access this protected area of the disk on a healthy drive, let alone a broken one. Our engineers must trick the drive into “thinking” it is in the factory and interrupting the standard boot process. The good news is that we have achieved access to the firmware. The bad news is that what we find is undocumented, compiled code. There aren’t any comments in the code explaining what does what. A professional hard drive repair expert needs to have a ton of experience in doing this forensic analysis. Our experts can read hexadecimal opcodes like you would read a book. We can compare the compiled code to a that of a healthy drive of the same make and model. Comparing apples to apples, the job is to identify where they differ (most differences are not corruptions, but rather naturally occurring) and ultimately diagnose the problematic elements. Step Three – Fix It! This is usually the easiest part. Having achieved access and proper diagnosis, all that needs to be done is to replace the corrupted areas of the firmware with stuff from the healthy doppelganger. It helps to have over 100,000 hard drives in the building: Gillware’s engineers have lots of candidates for donor firmware. Sometimes the reason the firmware is corrupted in the first place is that the read/write heads have gone bad. Sometimes the heads remember how to read the firmware, but cannot write to it. In these cases we also have to do physical work on the hard drive to repair the firmware. The guts of the hard drive are common failure points. 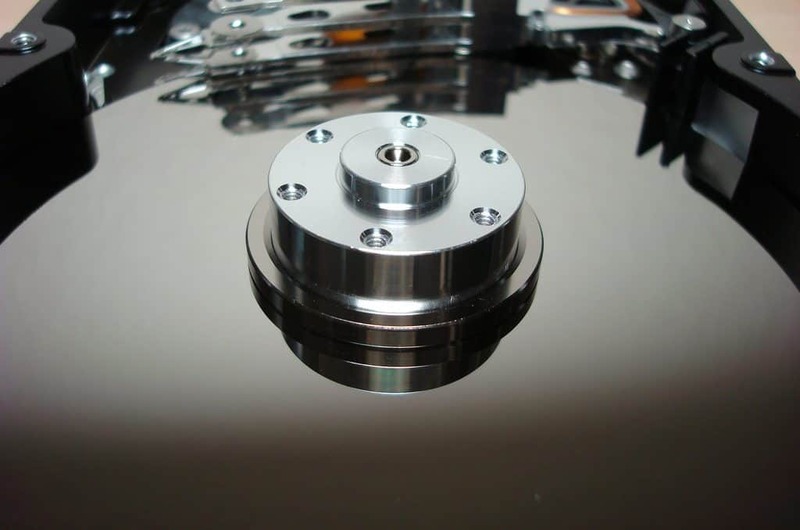 Motors, headstacks and even the hard disk platters themselves can have issues. To figure out what is wrong with the drive, you need experienced professional hard drive recovery experts to take a look at it in a clean-room environment. Lots of data recovery labs talk about how great their clean rooms are, and Gillware has great ISO-5 certified clean room workstations. But that can only get you so far. The truth is, a clean environment, while a vital prerequisite, doesn’t get you anywhere on its own. After all, there are plenty of biologists all over the world with access to clean air environments, but you wouldn’t ask them to open up your hard drive for you. If your hard disk is making strange noises or not functioning at all, it likely has a physical issue. Our highly-skilled engineers find these issues while we conduct our free evaluation of your hard drive in our lab. Hard drives suffering the click of death usually have issues with the read/write head stack assembly. Sometimes the tiny heads pick up particulate and get dirty, so they can’t read data. The number one rule of data recovery is to do as little as possible to alter the baseline condition. Each drive is unique. Every component replaced will conflict with that baseline and impede data recovery. Finding compatible heads is a constant battle, even with our 100,000-donor-strong hard drive library. Especially in external hard drives, seized spindle motors are very common. This type of recovery must always take place in a clean air environment. Even the tiniest invisible particulates in the air can cause big trouble when attempting to perform data recovery. Most often the spindle will need to be replaced, but re-balancing of the hard drive platters on the new motor can be very tricky. These cases can vary wildly in complexity. Sometimes the motors aren’t fully seized and there is a small burr inside that can be dealt with, so you don’t have to take the platters off of the motor. Sometimes the motor has stopped spinning because the read/write heads have clamped on the platters and are holding it in place. In these cases, while the motor itself isn’t the problem, it is very common for those heads to have caused scratches on the platters during their massive deceleration. 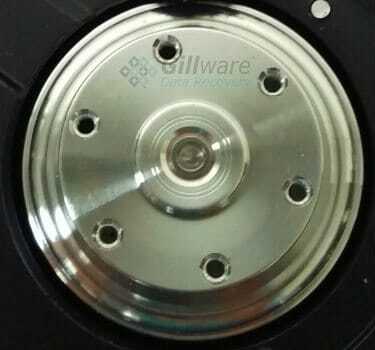 Quite often Gillware will receive broken hard drives that have previously been serviced by other labs. The other lab will mention that they failed because of scratches on the disk platters. They may have replaced a head-stack, but the replacement parts were immediately killed by impacting invisible debris, so they failed to recover the data. The platters need to be restored in a process called hard disk platter burnishing. The data that lived on the scratches are gone forever–turned into a fine magnetic dust. Some of that particulate has scattered and embedded itself in the platters. Hardly any of it can be seen with the naked eye. Gillware needs to glide test those platters to see where the damage lies, and then burnish the surfaces to remove that particulate so replacement parts are not immediately killed by an impact. The printed circuit board on your hard drive can fail, often due to a power surge or blackout. This used to work–but not anymore. But for the better part of a decade, just about every hard drive manufactured has been putting unique and critical content in the PCB. Drives are assembled from components from many sub-component manufacturers. Each subcomponent is built with certain tolerances, but none are identical. The magnetic field strength of the magnetic read/write heads, the purity of the copper coils, the regions of the platters that hold data poorly, and more than a dozen other factors make each drive a unique snowflake. Post-manufacture these drives are calibrated to measure their uniqueness against the norm. We call these measurements adaptives. Most modern drives have a small subset of the adaptives in the ROM, along with a unique logical-to-physical head mapping and a potentially unique location of the firmware zone. When a PCB is smoked, what can be done? A smoked PCB can be hard to handle. This operation requires an electrical engineer with a lot of experience to determine the best course of action. Most often, the engineer will know where all that unique information on the PCB lives. They can physically remove a few chips that contain the critical information and transfer them to a donor board. Sometimes it’s easier to trace the failed components on the board and replace them. Sometimes, the problem is the ROM itself is corrupted, and a firmware engineer needs to attempt to either logically repair the ROM or extract its unique data. In any case, these operations require a skilled and experienced electrical engineer. Professional data recovery is a bit more complicated when a drive has been fully encrypted. Examples of full-disk encryption include FileVault 2, BitLocker, PGP full disk encryption, and Western Digital SmartWare. When you have a failed hard drive with full-disk encryption, you will be glad you’ve sent your drive to a professional hard drive recovery lab. 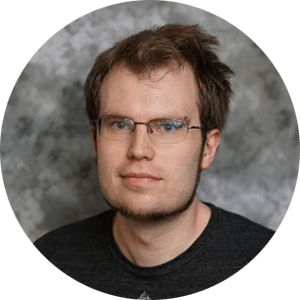 There is no physically-feasible way to brute-force break the encryption, and there is no way to target relevant data about the filesystem or files on a hard drive prior to decrypting it. This can make data recovery a more intensive process. Our data recovery engineers must get as close to a 100% image of the failed drive as possible in order to make sure all of the user’s data has been recovered. This can require significantly more repair and logical analysis work. The actual disk decryption process itself can also take up to several days, depending on the type of encryption used. Gillware’s data recovery experts also encounter drives that have been encrypted with file- and filesystem-level encryption, such as Microsoft EFS encryption. Recovering EFS-encrypted data is not as difficult as recovering data from a fully-encrypted hard drive because only individual files and folders have been encrypted. Why Choose Gillware’s Hard Drive Specialists for Professional Data Recovery? You wouldn’t want to be the first ever patient for a heart surgeon. You’d want a surgeon that has performed that operation thousands of times with a proven success rate. You wouldn’t have a newbie car mechanic at a chain change the transmission on your 1970 Ferrari 365 GT. You’d want an experienced mechanic with decades of experience sourcing and installing transmissions on European exotics. Data recovery is the same. Hard drive recovery professionals are a rare breed. In the US, there are less than a dozen data recovery businesses with professional grade labs. It’s easier to find a heart surgeon (over cardiac 1,000 surgical groups in the US) than a data recovery engineer. When your hard drive fails, you need to call upon professional data recovery specialists. Gillware’s engineers perform professional hard drive repairs on a daily basis and have been doing so for well over a decade. We’ve performed over 50,000 documented successful hard drive data recovery operations since 2004. There is no problem we haven’t seen (usually hundreds of times) before. Contact us and get your FREE prepaid UPS shipping label to send your hard drive to Gillware’s headquarters and data recovery lab in Madison, Wisconsin. Our recovery client advisors are happy to answer whatever questions you might still have about the data recovery process. 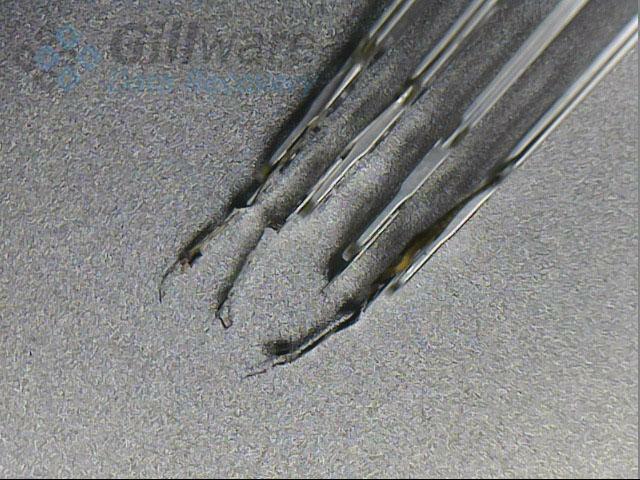 Gillware has been providing data recovery services since 2003, with over 100,000 cases successfully solved in our lab. 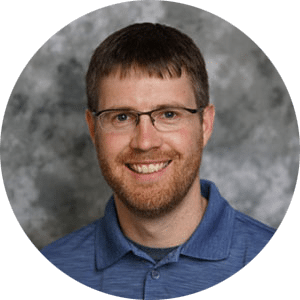 Our services are financially risk-free, including free inbound shipping to our lab in Madison, Wisconsin, a free evaluation by our engineers in our lab, firm price quotes, and no upfront costs. You don’t pay us a dime unless our data recovery specialists can recover your important data at a sensible price. Our hard drive specialists have years of experience working in our data recovery lab. All of the technicians in our cleanroom lab have thousands of successful hard drive repair cases under their belts and have seen just about every situation you can imagine at least a dozen times before. 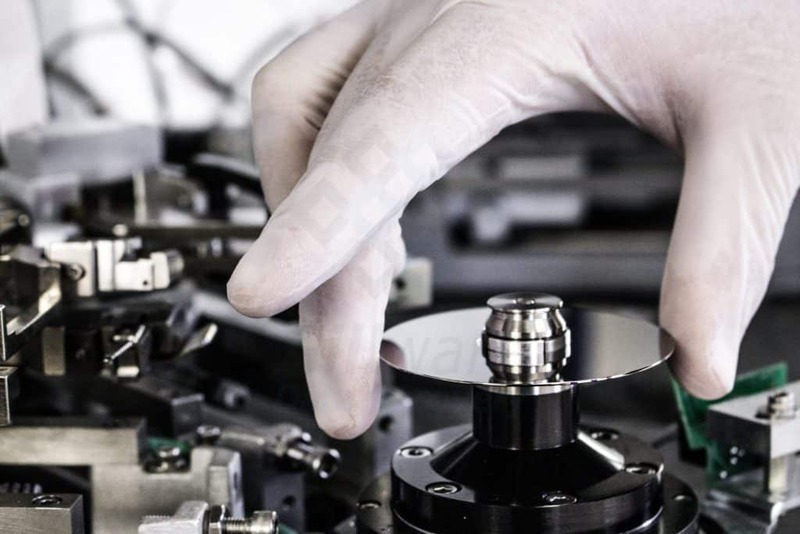 When you send your broken hard drive to Gillware for data recovery, you can rest assured knowing your hard drive is being looked at and worked on by some of the most skilled and most experienced hard disk repair specialists in the world.